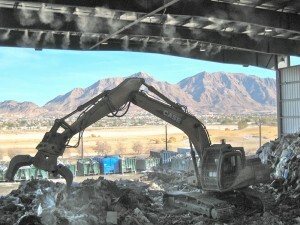 What is Fugitive Dust Control? Fugitive Dust is “particulate matter” (PM) pollution from small solid (sometimes liquid) particles floating in the air. Most of us are familiar with naturally occurring “dust” caused weather conditions, winds, and soil erosion. However, it is the fugitive dust that often occurs on work sites that can create occupational health and industrial hazards. Particles less that 10 microns in diameter (approximately 1/7th the size of the thickness of human hair) are categorized as PM10. PM10 can consist of mainly soil materials but may include smoke, soot, pollen, tire particles, acids, metals and salt. 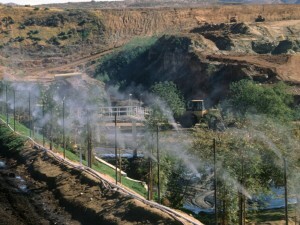 When “released” into the environment due to a physical or chemical change during construction, manufacturing, farming operations or landscaping processes, this type of fugitive dust changes air quality significantly. According to the State of California Air Resources Board, fugitive dust and PM10 emissions can cause increased respiratory disease, lung damage, cancer, premature death, reduced visibility, and surface soiling. In addition, there is a risk of “dust explosion and/or fire” in industrial settings when particulate matter has accumulated. Based upon ongoing research and assessments, managing fugitive dust emissions is imperative to ensuring employee safety and equipment protection. Most states have set regulations and programs to reduce the release of dust and emissions. Standard outdoor dust control recommendations include wetting, creating wind erosion controls or ground covers, or applying industrial controls such as a hard chemical seal. Indoor solutions include enclosing storage and handling areas, implementing “water or foam” spray bars above and below conveyor belts, as well as implementing mist or fog systems to “trap and disperse” particulate matter.